DIVE BRIEFING IN 15 MINUTES! I glance at my watch; lead divemaster Ro is right on schedule. It is 6am and several divers are already up, fixing a bite to eat or fussing with camera gear, readying themselves for the first dive before breakfast. I’m multi-tasking between bites of toast, swigs of coffee and changing my camera port to wide-angle while trying not to corrupt the O-rings with breadcrumbs. I have precious few minutes in which to finish before the briefing begins – we’ll be loading into the RIBs by 6.30 sharp. Ro and his divemaster crew run a tight ship, which is exactly the way our dive-team likes it. We can comfortably complete four dives a day and squeeze in three square meals and even a daily instruction session with our trip-leader and photo pro, Mark Strickland, on our regimen. My multi-tasking exercise is self-induced. I was bone-tired after the previous evening’s night dive, our last of two epic days’ diving at remote Narcondam Island, and went straight to bed, so the requisite system changes were left until now. No worries – it seems I’m not the only procrastinator. Two of my diving mates are similarly engaged at the camera table. We are now moored at fabled Barren Island. Infiniti, our comfortable and spacious Indian Ocean liveaboard home for the past week, had made the overnight crossing. Barren is known for its sometimes active volcano, spectacular black sands and soft corals in hues ranging from pink to red. 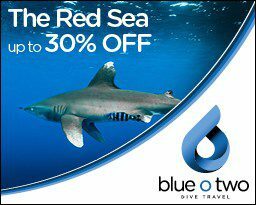 Our anticipation is palpable; our final three days will be packed with non-stop diving at sites Strickland identifies as “some of the best in the world”. The Infiniti is a relatively new liveaboard-diving operation with a unique distinction; its home-base is the Andaman Islands, a remote archipelago closer to Thailand to the east than to India to the west. THE ANDAMANS BELONG TO INDIA and, until now, have been difficult to access because trips to the islands have largely been from vessels operating from Thailand, nearly 500 miles and four days’ sailing away. 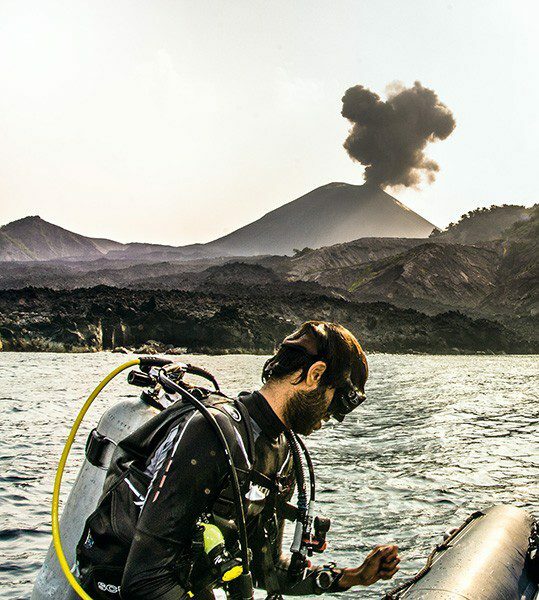 The logistics required to get a foreign boat into Indian waters were difficult at best, and most divers were hard-pressed to find more than the occasional trip reaching the Andamans on a regular basis – until now. 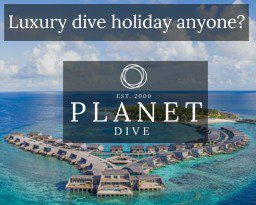 Infiniti is the first Indian-owned/operated diving liveaboard and is centrally located in Port Blair, in the heart of the Andaman archipelago. Now it’s in its third season. 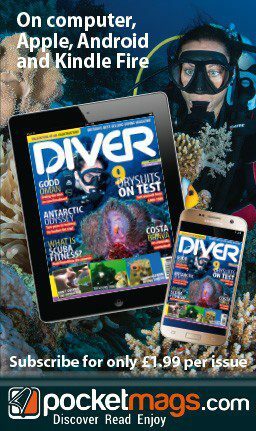 Our dive-group was the first American contingent to grace its decks, with a programme developed by Bluewater Dive Travel out of Los Angeles, California. Bluewater chose Strickland to head up the “all-American” maiden voyage based on his regional expertise. In a former life, Strickland was cruise director on a Thai liveaboard that made the occasional long journey from Thailand. Strickland will lead future briefings on his favourite Barren dive-sites, but for now Ro has the floor. He and his divemaster crew have a few recently discovered walls, coves and stony reefs up their sleeves, based on the previous year’s exploration. At 6.15, Ro rings a small hand-bell to assemble us in the dining salon. Our group of 12 is broken into three groups of four, each with a pair of divemasters. As we have proven to be a competent group of underwater photographers we have been given wide latitude on every dive, another virtue of Ro and the Infiniti crew. As my three dive-buddies assemble, Shyam and Sid, our divemasters, join our table. We fist-bump, sit and turn our attention to Ro and his magic-pen board, with its elaborate depiction of our dive-site profile. His hand moves over the board, a finger stopping on key co-ordinates he wants us to remember. “The wall has large seafans beginning at 20m, great for wide-angle silhouettes, but don’t forget to look up and out – the mantas will likely be in the blue water.“ Ro asks for questions but we have none, all too eager to hit the water. Minutes later, we’re on our way. As Bujji, our RIB driver, zooms us towards Manta Point, a 10-minute run, he suddenly slows and points excitedly to the mountain. Barren’s volcano has awakened! A cloud of black ash belches from the mouth of the cinder cone, shooting a dark plume skyward as we gape in awe. The eruption is short-lived but the winds aloft are steering our way and, minutes later, we have to mask up and contemplate breathing from our regulators as gritty black ash briefly rains down on us. Like kids we’re giddy about this cool development as we complete final gear checks and roll into 40m visibility. I follow Sid to 30m and level out along the wall, stupefied at the size of the seafans. They prove exceedingly difficult to shoot, just too big to fit on the image sensor, even with my fisheye lens. FOR THE PAST TWO DAYS we had been blown away diving among massive barrel sponges nestled between carpets of pink soft corals at Narcondam’s HQ Pinnacle and Ooh La La. Today, I’m blown away by seafans too big to shoot at Barren’s Manta Point. Indeed, the images on the spectacular deep wall don’t come easy and too soon my computer is nagging me to move to the shallows. I’m grateful for its persistence, because at 5m I find a crown-of-thorns seastar offering an opportunity to practise my close-focus wide-angle perspective skills. I work the angles but notice a strange filtering effect in the water column. The visibility, excellent moments before, is now reduced by this weird phenomenon. Then it dawns on me – volcanic ash is settling! Barren’s volcano has again become restless. Had I not noticed the diminishing visibility and looked around, I would have missed the manta ray “fly-by”. In no small part thanks to Strickland’s instruction, I make the correct aperture and shutter-speed adjustments on the fly as the fish completes its single pass, and manage to fire off a couple of images that work. On closer inspection the race between survival and naturally occurring and apparently frequent upheaval is evident. Plating coral species such as Montipora demonstrate this race through the black sand collecting atop their bowl-like skeletons. Yet somehow, the dynamics of this actively volcanic island seem to balance. The stony corals and accompanying reef creatures appear to remain one step ahead of the island’s pyroclastic tendencies. For the afternoon, Ro has one final treat before Infiniti moves to the opposite side of Barren for the main diving event. In a sheltered cove that has apparently avoided ash fall-out for some time, we find the 100% coral stands expected at Coral Gardens. And, as a bonus, minus scuba gear, we bask in a hot spring emerging from the rocks against the shore, hoping the RIBs linger a bit longer shuttling other teams back to Infiniti before returning for us. The following morning belongs to Strickland. At 6.15 he briefs us on two sites we will explore for the remainder of the trip: Purple Haze and Black Magic. In stark contrast to Manta Point’s seafans and Coral Garden’s stony stands on the opposite side of Barren, Purple Haze is carpeted with luxurious soft corals that are indeed purple until illuminated by a torch or strobe. The reef is a pair of ridges that extend from shore down to well beyond sport-diving depths. They run perpendicular to the currents, so shooters can find numerous outcroppings behind which to tuck to frame kaleidoscopic vistas comfortably. Despite the neap-tide moon phase, there is enough current to do as Strickland predicts. The “softies” are in full bloom, and we patiently wait for the omnipresent bannerfish to school in silhouette against a backdrop of Monet-like pastels. His reasoning dawns on me during my slow, methodical ascent up the broad slope of black sand. Going wide gives me the chance to shoot similar but different panoramic scenes, but now I can mark the colonies of flagtail shrimp gobies hosting Randall’s pistol shrimp I long to photograph. I can now go straight to my macro targets on the next dive, which is what I do. Larger populations of grouper, snapper, sweetlips or other fish don’t seem to be a feature at Narcondam or Barren, despite the islands’ remoteness. Strickland tells me that big fish such as Napoleon wrasse and giant grouper are occasionally encountered but are more likely to be seen at inshore sites within the main Andamans chain. I hope that this is the natural order and not the result of the pirate fishing prevalent in so many remote, unpoliced parts of the world. In fact, early in the trip Infiniti’s itinerary involves sailing south near North Cinque Island to a reef called Fish Rock, where we expected to find such large fish gatherings. Unfortunately, as we left Port Blair the winds picked up to storm force and the vessel was thwarted twice from reaching the site. We were left having to dive protected patch reefs, bommies and wrecks between North Cinque and the Havelock Islands for the first three days. Fortunately, on day four the weather improved and we were able to do two dives at an offshore location named Johnny’s Reef on the way to Narcondam. This provided a glimpse of what Fish Rock may have been like, with its teeming schools of snapper, sweetlips and one giant grouper that was easily over 1.5m. The visibility was astonishing too – at least 40m! IT’S BEEN FIVE YEARS since a major El Niño event caused extensive bleaching of stony corals in the Andaman Sea. At the protected sites we dived early on there was still some evidence of the impact. Happily, some places seemed little affected, with strong stands of stony corals, yet other sites were mostly void of the branching corals most often affected by higher water temperatures. Amazingly, on Barren at least, if the island had been affected by El Niño I could see no evidence of coral loss. Indeed, the coral’s biggest survival risk comes from failing to outgrow the smothering effects of constantly settling volcanic ash, a race it seems to be winning. Finally, soft corals are not affected by coral bleaching, as they lack the symbiotic zooxanthella found in stony corals that bleach in sustained periods of abnormally high water temperatures. At the end of the day, in my personal quest to dive remote locations rarely visited by others, I hark back to Mark Strickland’s eloquent summary of the subject: “Many of us want to travel to destinations we would like to deem as ‘pristine’. In the current environment, I’m not sure such a place exists any more. We have impacted the oceans to an extent where ‘pristine’ may no longer be a possibility. GETTING THERE: Several airlines fly daily from Heathrow to Chennai, India, from where there are daily non-stop flights to Port Blair. Excess weight is an issue with the Indian airlines – paying cash in rupees is recommended. WHEN TO GO: The prime part of the dry season, when seas are generally calmest, is from February through April.